LEGEND "MINERAL" PATTERN WITH REGENCY "ANTIQUE WHITE" WELT & BUTTONS, AND CREAM LEGS. A little drama never hurt anyone. In fact, it was the only subject in school that you were any good at. The sassier you were, the louder the applause. That grandeur still lives inside of you even though it has been years since you last exited stage left. 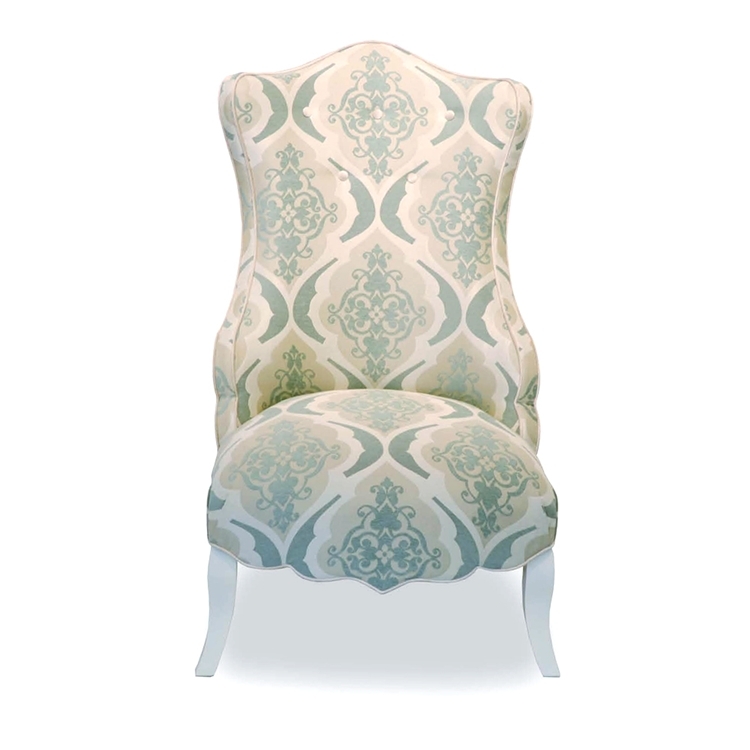 This Baroque Inspired Beatrice chair has dramatic curves and exuberant cushions. Customize any Haute House Home piece to your liking. Item sold as shown online. Boxed weight is approximately 40 lbs. Call 323.256.2800 for custom options.